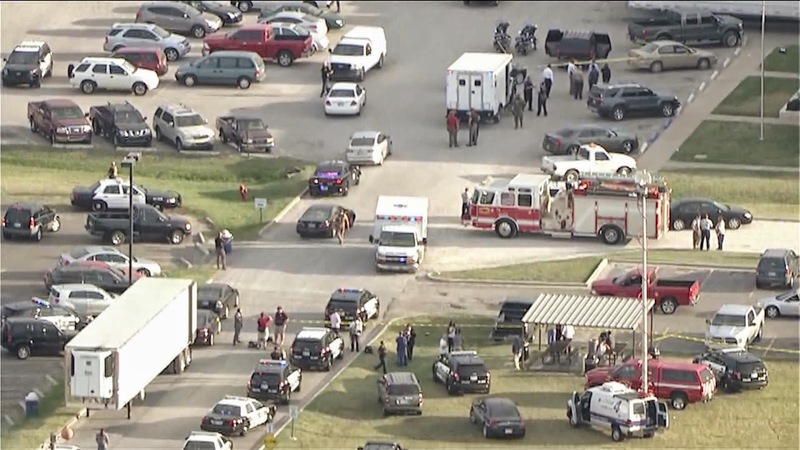 The post I wrote last Saturday morning entitled We Face a Monstrous Evil: Terrorism in Oklahoma seems to have struck a chord. Most people understand that the post draws attention to radical Islam, which seems to have infested the Oklahoma City metropolitan area. Chopping off the head of a woman is an act of brutal terrorism. The beheading of innocent men and women is taking place around the world in regional pockets where radical Islam has taken hold. Some who've read my post objected by saying "I've seen Alton's picture in the Washington Post. How can you call Alton Nolan a radical Islamic terrorist? He's a clean cut all-American kid!" Answer: The Washington Post and other major national newspapers are showing old pictures of Alton Nolan. 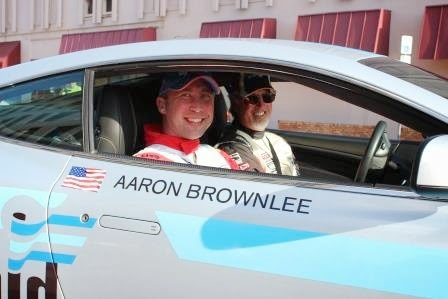 Alton became radicalized while attending a mosque in Oklahoma City in recent years. I wish our national media would start paying attention to details. Alton Nolan made no bones about the fact he was a radical Islamist. He let people know through his social footprint on Facebook his feelings about infidels who reject Sharia and the Islamic caliphate. He openly called for the downfall of America's government. He beheaded an innocent woman, not immediately after being fired (as the media initially reported), but after going home and preparing to kill. Benjamin Netanyahu said in a speech yesterday, "The Nazis believed in a master race. The militant Islamists believe in a master faith." The Prime Minister of Israel is right. The monstrous evil in our midst is a group of radical Islamists who believe that everybody should believe like them or else. Our media needs to get on board in reporting the truth as it is. Sometimes the truth hurts, but we are better off as a nation hearing the truth than having it whitewashed it for the sake of political correctness. Before anyone calls me a hate-mongering Islamaphobic because of the title of this post, let me remind everyone that I have many Muslim friends. I have spoken on several occasions to Muslim gatherings, and I believe all Muslims in America should enjoy freedom of religion, freedom of speech, and every other liberty that Americans cherish. Now with that those obligatory caveats out of the way, let me get to the point. Alton Nolen, the man who beheaded 54-year-old grandmother Colleen Huford and was in the process of beheading other women in his former workplace in Moore, Oklahoma before he was shot by an off-duty reserve deputy, is a radical Muslim terrorist. He is shown in the picture above standing in front of the Islamic Society of Greater Oklahoma City building in northwest Oklahoma City three weeks before he beheaded Mrs. Hufford. Nolen's Facebook page was updated with a photo of a beheading around the same time period. According to this report, Nolen attended the Islamic Society of Greater Oklahoma City three weeks before the beheading and posted on his Facebook, "At The Masjid (Mosque)Today For Jumar 9/5/2014 & Peforming Wudu!! !” Wudu is a water ritual in preparation for formal prayers. Suhaib Webb, an Imam with ties to former Al Qaeda mastermind Anwar al-Awlaki, served as the leader of the Islamic Society in OKC in years past. Suhaib Webb now serves as Imam of the sister organization of the mosque attended by Boston Marathon bombers Dzhokhar and Tamerlan Tsarnaev. Let that sink in for a moment before I show you where the Islamic Society of Greater Oklahoma City is located. The large intersection in the map above is that of Interstate 44 (east/west) and what we in Oklahoma City call Hefner Parkway (north/south). The circle to the left of the map is the Islamic Society of Greater Oklahoma City. Anybody know what the circle to the right is? It is the state headquarters for the Baptist General Convention of Oklahoma. In the state that had not one county with a majority vote for Barak Obama in the last election, in the state known for its large population of evangelicals, in the state that promotes the values of individual liberty and kindness to one's fellow man, in the state in which I was born and have lived all my adult life, we have a mosque with ties to radical Islamic terrorism just a couple of miles away from the state headquarters of the Baptist General Convention of Oklahoma. Read carefully for yourself the ties to the Muslim Brotherhood within Oklahoma City. After reading, I'd like to ask you a few questions. (1). Who was the bomber who accidentally detonated the bomb he was carrying and killed himself in 2005 while waiting to enter Oklahoma's Memorial Stadium during an Oklahoma football game, and what were his ties to radical Islam? (2). Why are so few people taking seriously Timothy McVeigh's ties to radical Islam in the months prior to bombing of the Federal Building in downtown Oklahoma City in 1995? For more information about McVeigh's radical Muslim ties, read Stephen Jones' Others Unknown. Mr. Jones was McVeigh's attorney, but was fired because McVeigh 'wanted sole credit for the bombing' and didn't like the work his attorney was doing in uncovering the Muslim radicals who assisted McVeigh. The OKC bombing had extreme parallels to the 1993 World Trade Center bombing. (3). Have you ever been told the number of Oklahoma detainees held by the Justice Department after the World Trade Center bombing in 2001? According to my friends in law enforcement, there were several Islamic radicals in the Oklahoma City area who had ties to the World Trade Center hijackers, many of whom were held in jail and interrogated for months. (1). Don't begrudge the increased security and very thorough checks of purses, bags, and other items when you enter Thunder games, or Oklahoma football games, or other public events. There's a reason for all this, and I'm not sure Joe Public understands the serious nature of what is happening. (2). Maybe an apology ought to be issued from those who castigated our state congressmen for passing a law that forbids Sharia Law from ever taking effect in the state of Oklahoma, a law reversed by the Oklahoma State Supreme Court. Maybe we ought to elect more politicians who are not afraid to call it like it is and consider removing judges who seek to legislate from the bench. (3). Women in our state should become informed activists when it comes to opposing radical Islam, and you should do it now. Run for city council. Run for the local school board. Campaign hard for people who represent your values, particularly those who understand that women have a role to play in leadership within our society. According to co-workers at Vaughn Foods where Colleen Huford lost her head this week, Alton Nolen was arguing in the previous days about the legitimacy of stoning women for offenses against Allah and the Koran. We face a monstrous evil. It is the radical, fundamental Islamists who demand subservience to Islam, a world caliphate, and death to those who oppose them. I know from experience that not all Muslims teach this or believe this, but until we wake up to the evil in our midst, we will find ourselves with more shed blood in the grocery aisles of our communities. The above photo is not the result of work place violence. It is the result of Islamic radicals terrorizing our great state. Until the government owns the problem, we will find ourselves in ever increasing levels of terrorism within our borders. Booth never attended college, but his understanding of ancient history would surpass most college graduates today. 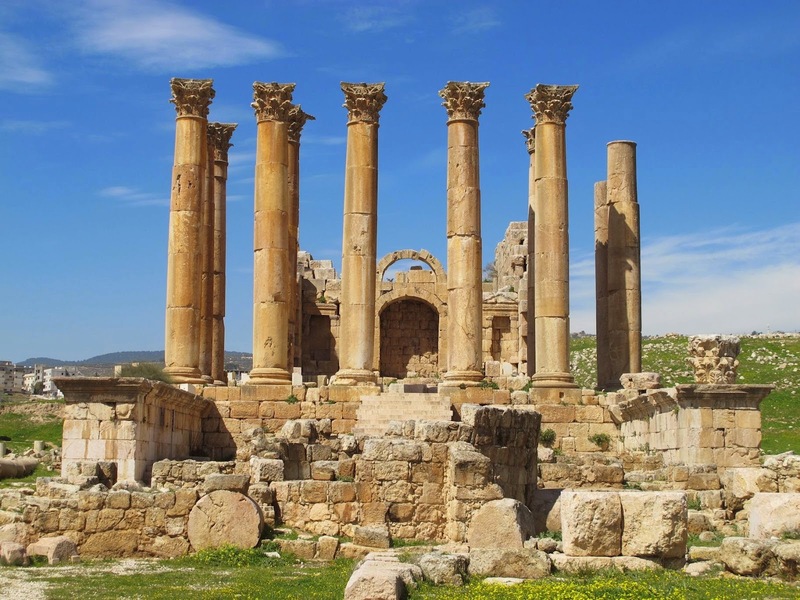 The 'dome' to which Booth refers was the Temple of Artemis, one of the Seven Wonders of the Ancient World. Nobody knows the name of the one who built it, but the name of the one who destroyed it by fire is infamous. Herostratus (pronounced 'hero-stra'- tus) torched the Temple of Artemis on July 21, 356 BC, the very night Alexander the Great was born, prompting Plutarch to speculate that Artemis was too preoccupied with Alexander's delivery to save her burning temple. The Ephesians sentenced Herostratus to death and forbade anyone from mentioning his name; but the world, just as Booth suggested to his friend, seems to exalt the names of those who destroy rather than those who build. The name Herostratus is now used in languages around the world for those who are seeking fame at any cost, something called herostratic fame. There is the temptation in all of us to gravitate toward the fame associated with destroying what others built. 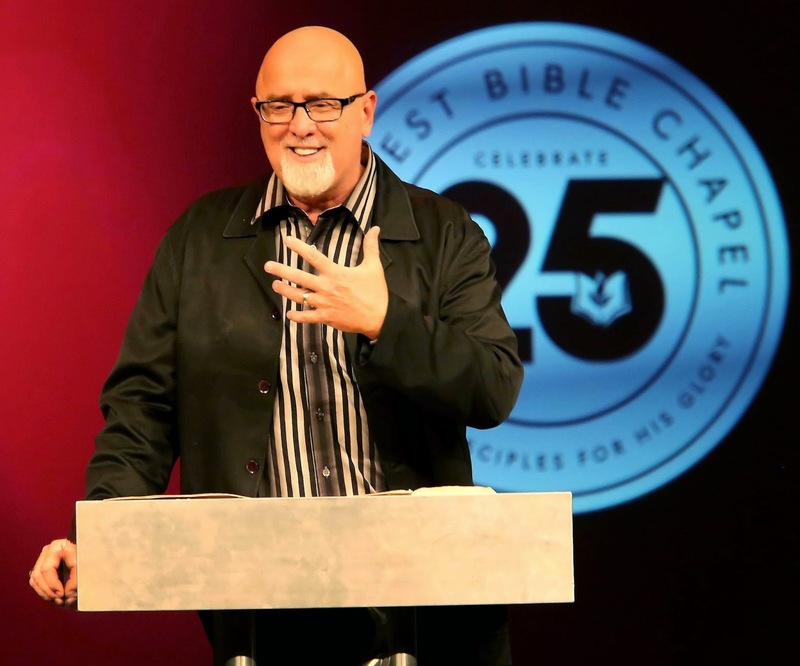 The kingdom is being built by God's people. Sometimes the craftsmanship of what is being built is shoddy. Other times the builders themselves are flawed. Blogging has done Christians a great service in helping us understand the issues and problems within the Kingdom. However, I don't wish to be a Booth. It's never my desire to be known for tearing down what others have built, regardless of how dysfunctional it may be. I'd rather be known for what I'm for rather than for what I'm against. I'd rather people understand what to build and how to build, rather than what needs burned and how to burn it. I'm not sure, however, that most people enjoy reading how something's built. For example, in my last article on James McDonald and how he wrongly (in my view) invests spiritual authority in elders, there were 'thousands' of hits from all over the world. However, toward the end of the article I offered a solution to the problem by posting a PDF that explains how to have a church where Christ alone is understand to have all spiritual authority. There were only a few hundred downloads of the object which would help build something good. Regardless, it's my desire to never expose a problem (as I see it) without offering a solution. I'd rather be unknown and try to build something good for the Kingdom than be the famous guy who is well-known for destroying what someone else has built, regardless of how dysfunctional the building is. There is a growing controversy on the Internet due to President Barak Obama's use of the acronym ISIL in referring to the brutal terrorist organization most commonly referred to as ISIS. Some are proposing that Mr. Obama is intentionally denigrating Israel by using ISIL, which stands for “Islamic State in Iraq and the Levant" rather than ISIS, which stands for "“Islamic State in Iraq and Syria." Al-Jeezera, the Islamic broadcasting arm of most Arab Muslims, solely uses ISIL in their media broadcasts. 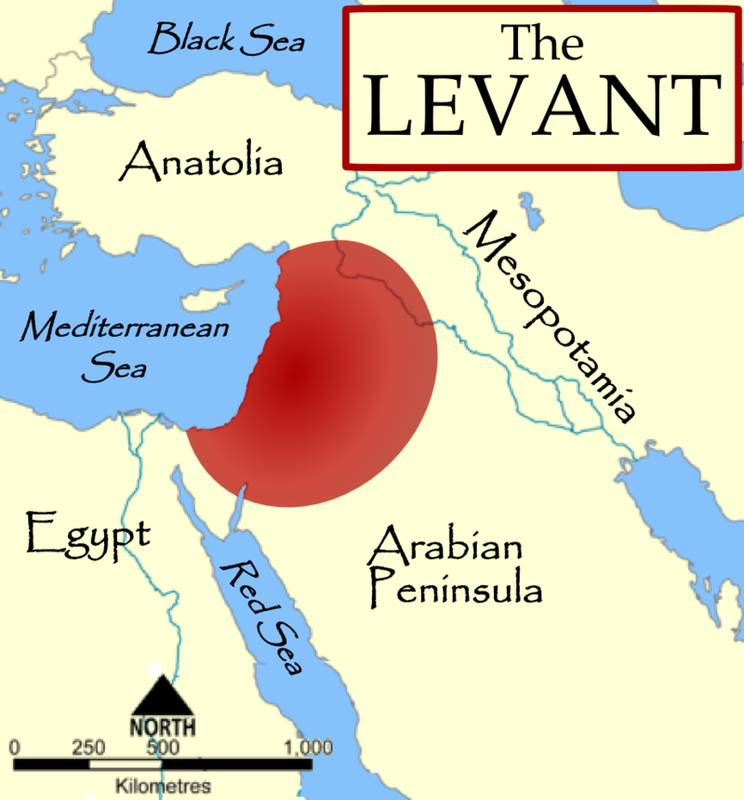 The word 'levant' comes from the French language and means "rising." In ancient history, the word was used to refer to the lands where "the rising of the sun" occurred, or more generally, the eastern lands. However, it is a word that Muslims have historically used to refer to the land bridge between Africa and Europe (see map). Most Muslims believe the Jews have no rights to Levant land and refuse to recognize Israel as a state. ISIL is an acronym that some believe calls into question Israel's right to exist as an independent state. So, it seems throughout history, Israel has been slighted by their enemies. It very well could be that ISIL is a slight against Israel. However, the prestigious Journal of Levantine Studies is published by Jews in Jerusalem, so one cannot be dogmatic that the word "Levant" is an insult to the Jews themselves.